Significant science media attention (New York Times, National Geographic, Smithsonian.com etc.) 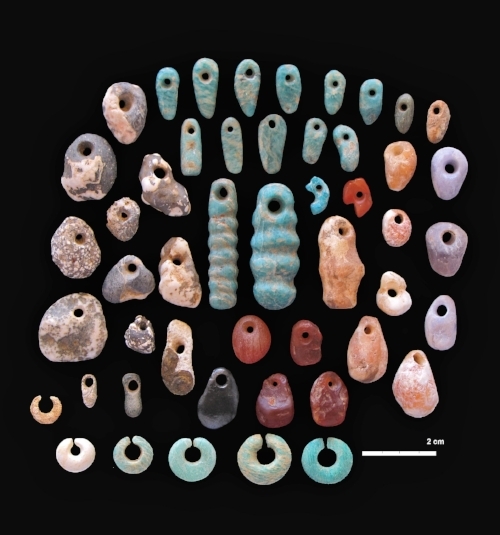 concerning archaeology of Lothagam North Pillar Site in Kenya. New York Times story: "Ancient Burial Pits Reveal Sophisticated Rituals"
National Geographic story: "Ancient Riches Discovered at Mysterious Burial Monument"
Smithsonian story: "Their World Was Crumbling But These Ancient People Built a Lasting Memorial"
years, will host an event on September 25, 2018 honoring his life and his many contributions to the archaeology of Northeastern Africa and the Horn. More information about this event will be posted here soon. From Boston University "The members of the Department of Archaeology mourn the death of Professor Rodolfo Fattovich"
From the French Centre for Ethiopian Studies "Professor Rodolfo Fattovich (1945-2018)"
From Azania: Archaeological Research in Africa, Volume 53, Issue 2 "Rodolfo Fattovich, 1945-2018"
The University of Cape Town's Zamani Project's 3D Reconstructions of Ancient African Architecture and Cultural Heritage Sites. Excellent summary by Ann Gibbons and very useful video by AAAS of Olorgesailie Basin, Kenya research led by Rick Potts and Alison Brooks and published today in the journal Science. The journal Antiquity has announced that Innocent Pikirayi, professor of archaeology at the University of Pretoria, will be its first Antiquity ambassador. Robert Witcher, Antiquity's new editor, states in the February issue of Antiquity that the journal looks forward to working with Innocent Pikirayi "to support more African scholars to publish their research in Antiquity and, in the process, to bring to our readers a more representative sample of world archaeology and a greater range of voices." See the United Nations Assistance Mission in Somalia's short video clip of UNSOM visit to the Laas Geel rock art site. The African Studies Association—a scholarly organization composed of over 2,000 university academics based in the United States, Europe and Africa – is outraged at President Trump’s characterization of African states as “shithole countries.” He is widely reported to have made this comment in conversation with members of Congress. It is shocking that such crude racist expressions of xenophobia are now part and parcel of executive office discourse. Not only do President Trump’s words disparage the people of an entire continent, on issues of immigration they defy reality. According to the last U.S. Census Bureau report, Africans account for only 4% of the total foreign-born population in the United States, but the educational attainment of that 4% far exceeds the average of all of those born outside of the U.S. Indeed, 41% of African residents in the U.S. hold bachelors degrees or higher. Nigerians, who have been singled out by the President on previous occasions, are among the most educated group in the U.S., with some 61% holding bachelors degrees and 17% masters degrees. We strongly encourage those in and around the Oval Office to do their homework and urge them and all levels of government to acknowledge the enormous contributions that African immigrants have made to the economic and social fabric of the United States. Edited by A. Smith Livingstone, E. Cornelissen, O. Gosselain, S. MacEachern. Tervuren: RMCA, series ‘Documents on Social Sciences and Humanities’, 317 p.
Excavation of 12th Century mosque structure at Harlaa. Photo: T. Insoll, University of Exeter. 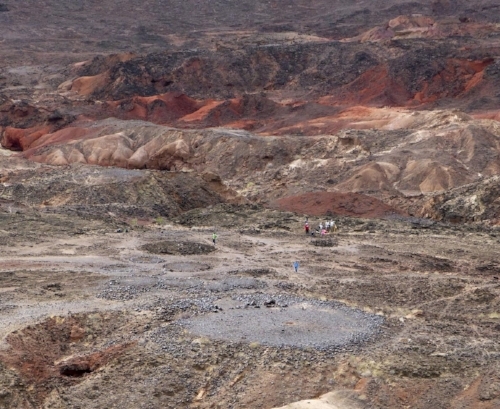 An archaeological team from Exeter University in the United Kingdom and Ethiopia have begun mapping and excavating what may be the ancient settlement and trading center of Harlaa in Hararge, Ethiopia. Ethiopians and foreign nationals from around the world, including many dignitaries, gathered last week at Holy Trinity Cathedral in Addis Ababa, Ethiopia to pay their respects to Richard Pankhurst, who died at his home in Addis Ababa on February 16, 2017. Dr. Pankhurst was a prolific historian of Ethiopia, founding member of the Institute of Ethiopian Studies (IES), advocate for Ethiopian cultural heritage, and leader of the campaign to return to Ethiopia the stolen Obelisk of Aksum. Voice of America reporting that archaeologists Peter Breunig and Johannes Behringer have been freed from captors in Nigeria.